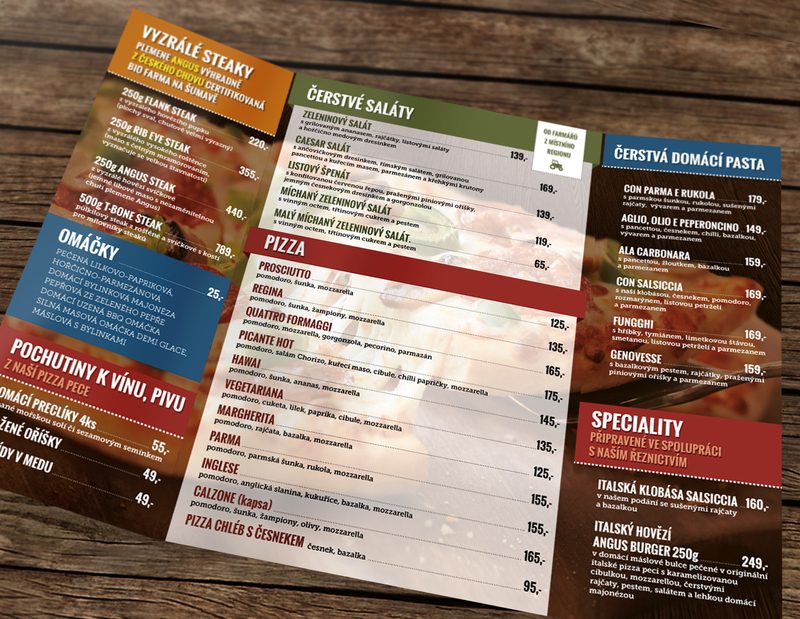 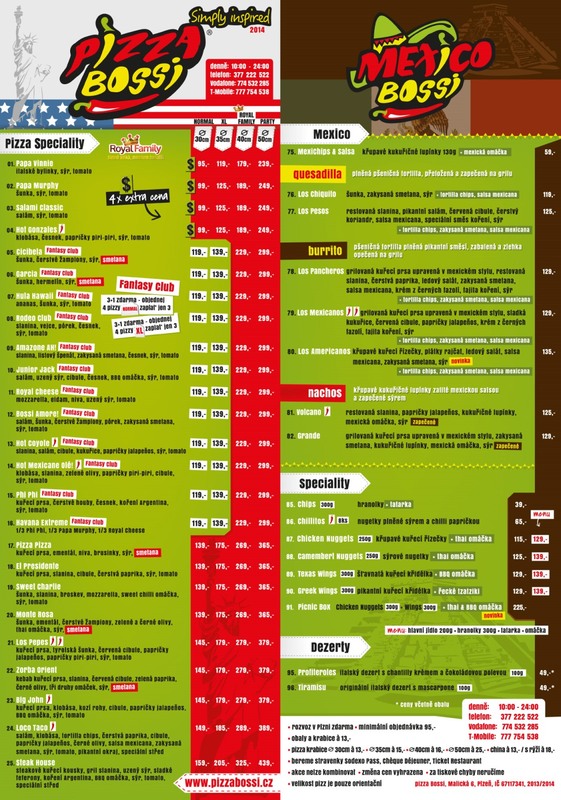 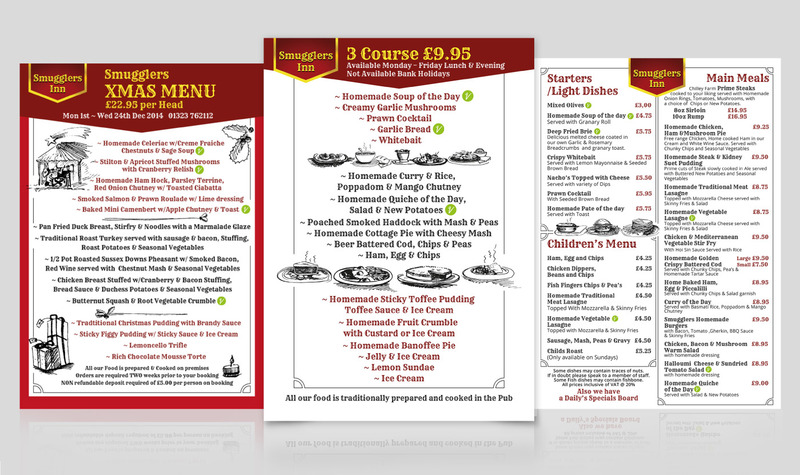 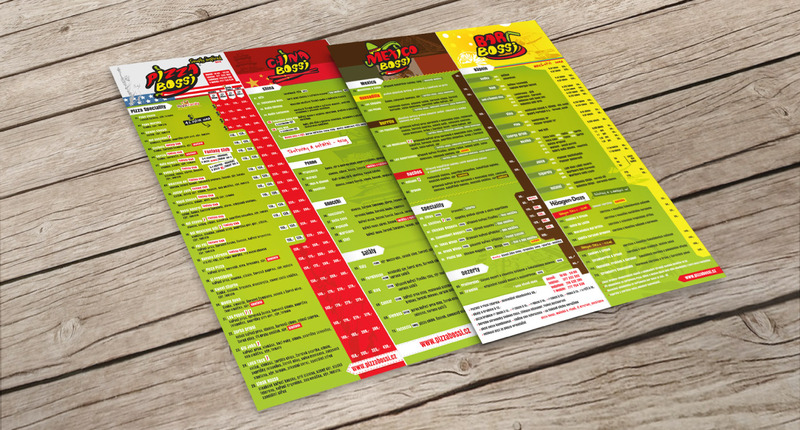 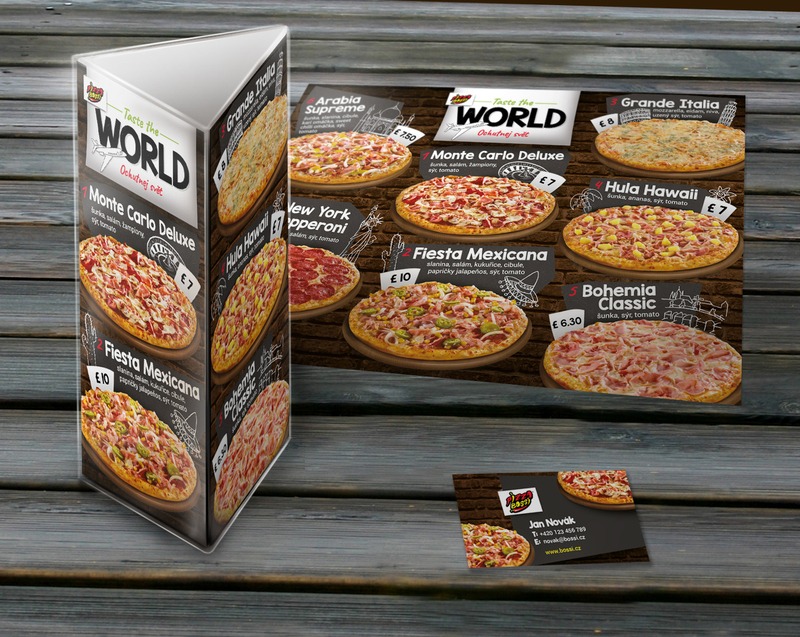 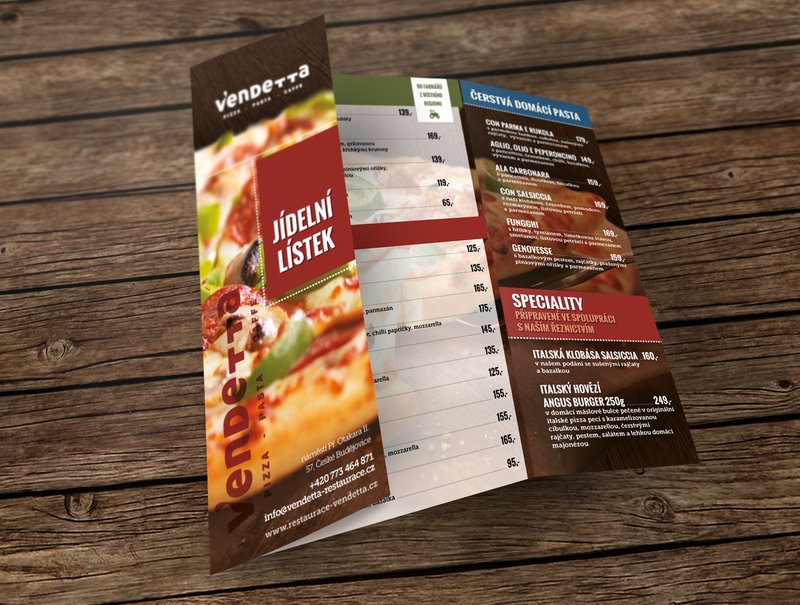 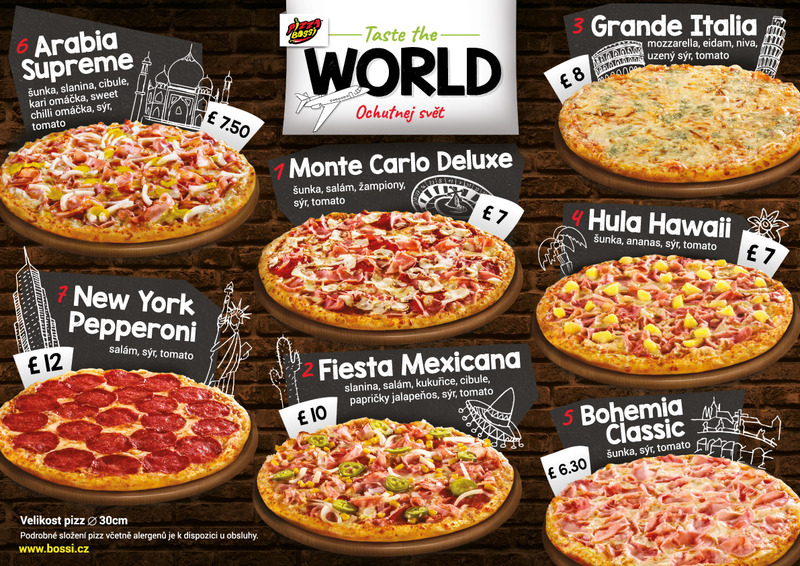 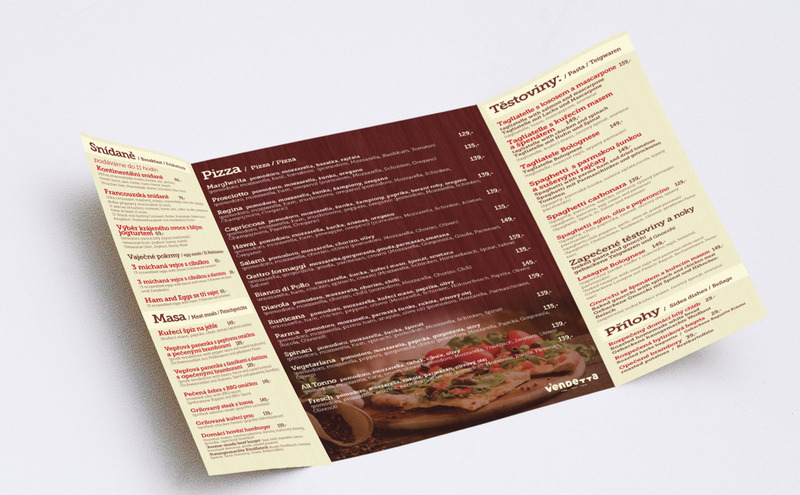 ABOVE: Design of a menu for pizza distribution. 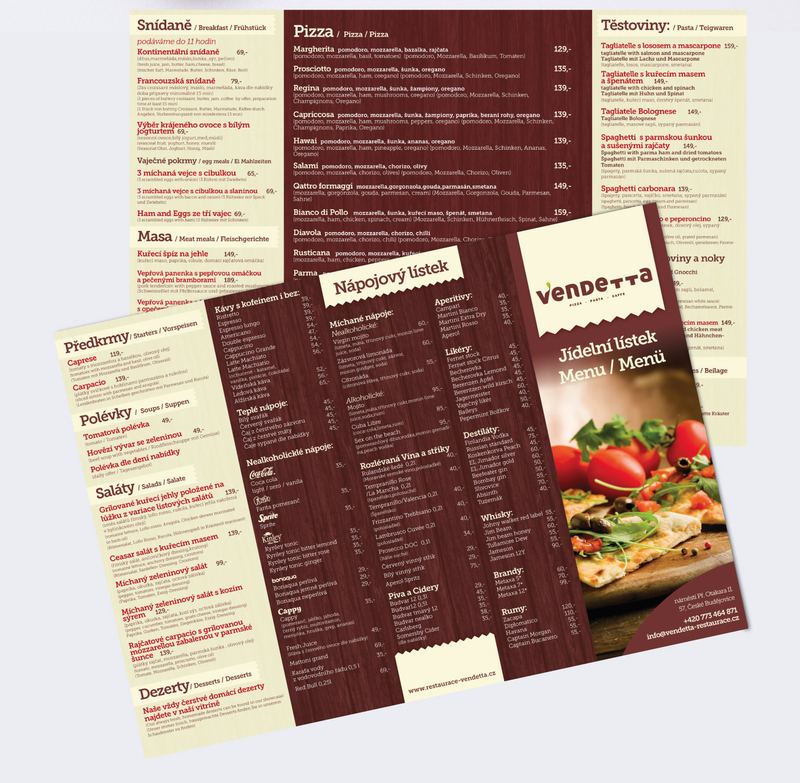 We did triangle 3 sided leaflet along with A2 Poster and business cards for dealers. 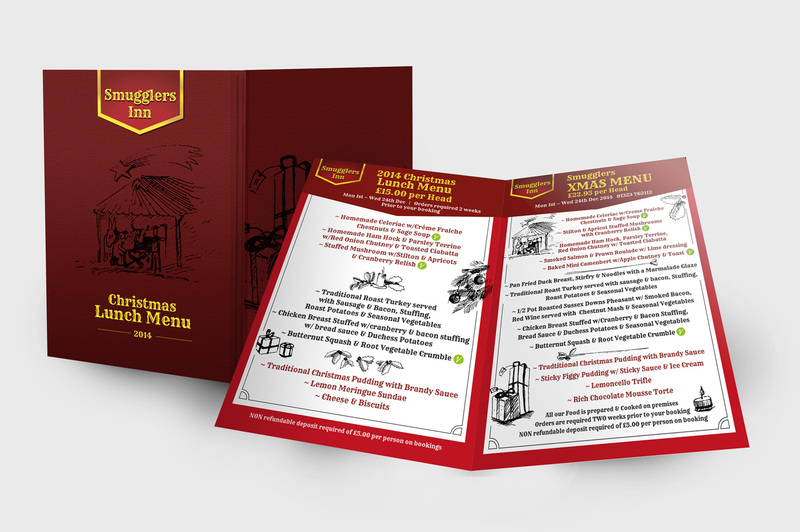 Design is enhanced by hand-sketched drawings. 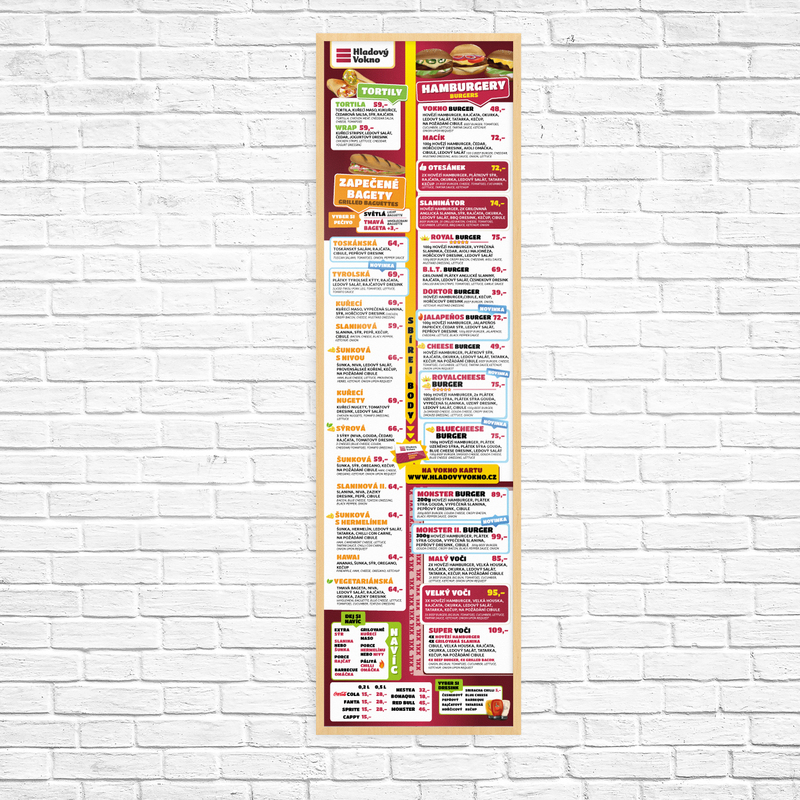 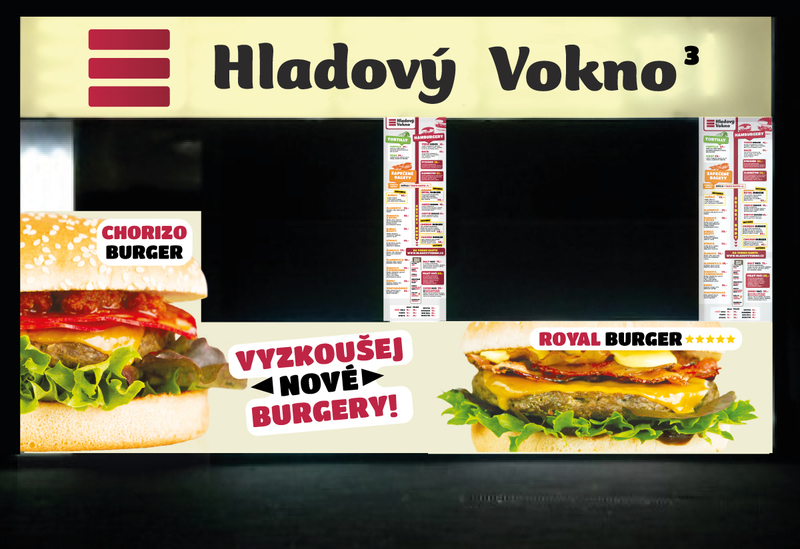 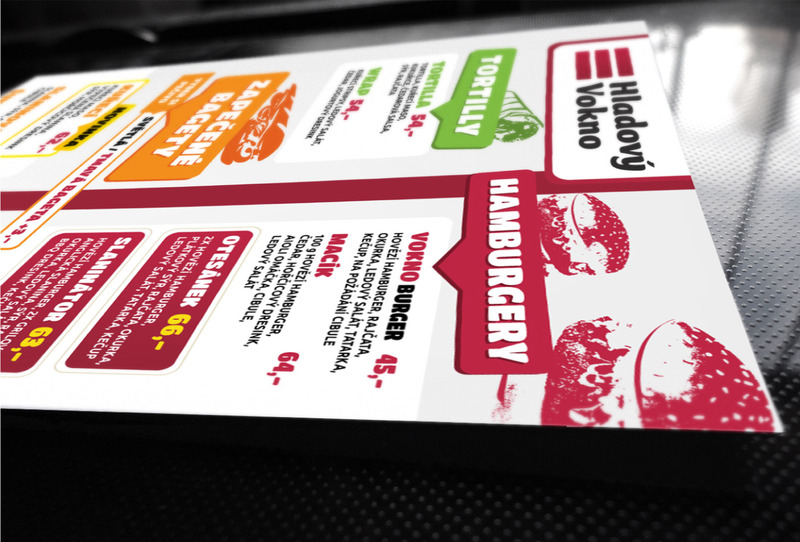 Lower you can see our menu design for exteriors of Bohemian fast food selling fresh burgers and hot baguettes. 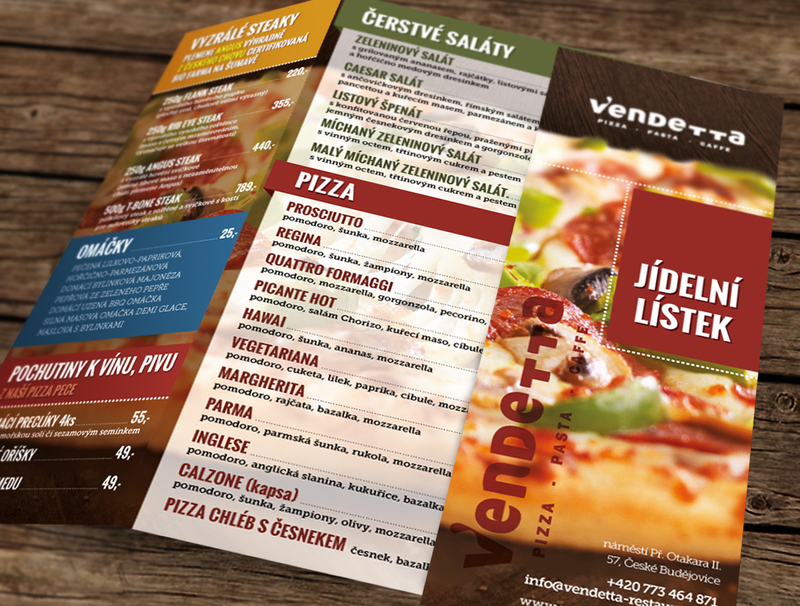 Simple and modern menu design for Pizza Delivery.